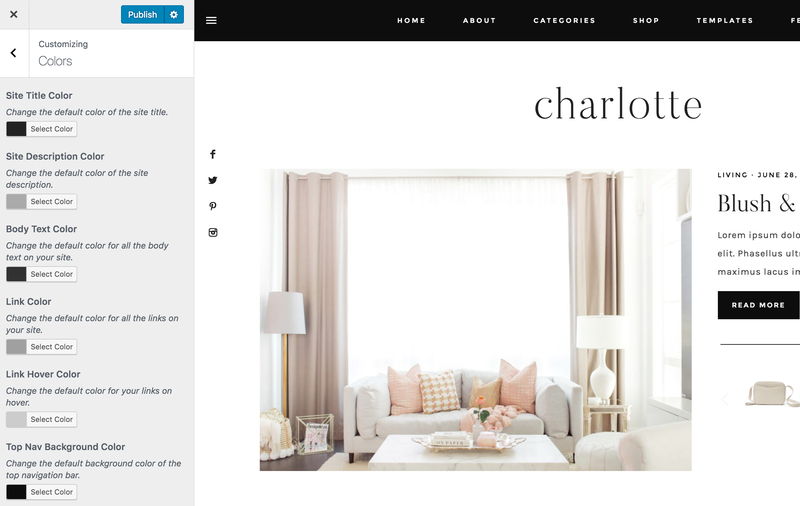 The Charlotte theme offers extensive color customization options. 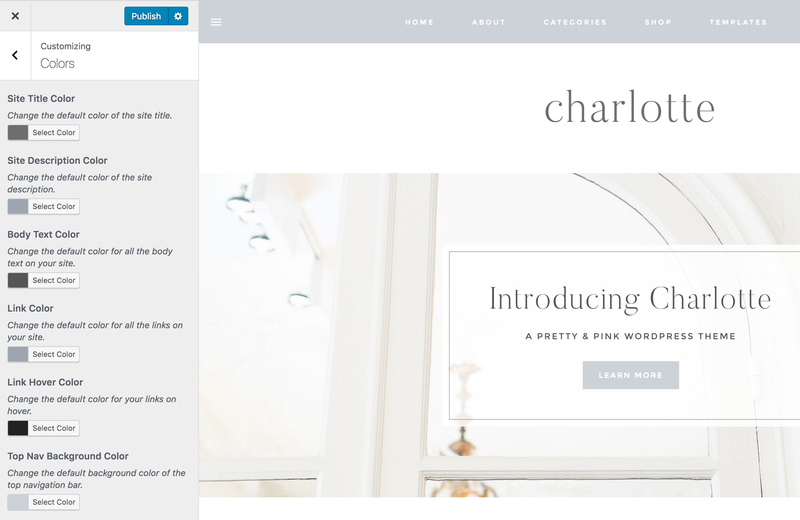 There are 50+ color controls available so you can fine-tune the theme to perfectly match your brand & vision! To access the color customization panel, go to Appearance > Customize > Colors.